His House > Blog > Addiction > Does Being a Christian Help Recovery? Does Being a Christian Help Recovery? Addiction does not discriminate. It affects people of all ages, ethnicities, socio-economic statuses, professions, and religions – there is no one who is immune. Addiction researchers have concluded that addiction is a holistic condition that affects an individual’s body, mind, and spirit. So in many cases, treatment for addiction is based on those things and includes a combination of psychological, psychiatric, physical, social, and spiritual treatments. There have been various studies done that support the belief that the use of spirituality in addiction recovery is beneficial. According to a study by the National Institute on Alcohol Abuse and Alcoholism, addiction treatment that uses spirituality as part of its program resulted in a 10 percent greater abstinence rate than treatment without it. One reason that spirituality has played a part in recovery is due to the program of Alcoholics Anonymous. The program links the spiritual aspects of recovery with the mental and physical aspects. The program asks members to believe that a “power greater than themselves” must be relied upon for recovery. Since being founded in the 1930s, Alcoholics Anonymous has been the basis for using spirituality in recovery. The model often brings up the belief that using drugs or alcohol is a user’s attempt to fill a spiritual emptiness. 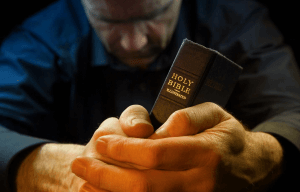 What Are the Benefits of Christian-Based Addiction Recovery Programs? Christian rehab centers have a multipurpose modality – to treat addiction and deepen faith. By adding God into (or back into) an addict’s life, it fills the hole in their life that contributed to their addiction. Once filled, the urge toward addictive behaviors is decreased. His House Rehab offers industry leading Drug Addiction Treatment Programs. We were founded in 1994 and we base our Drug and Alcohol Treatment programs on five key principles: commitment, honesty, integrity, respect, and service. These five principles guide us in all that we do and all the care we provide. Contact us today to see how we can help you or your loved one at (888) 681-4594.